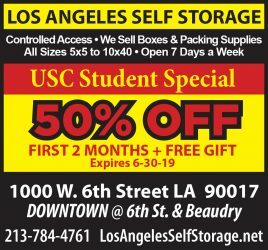 The lesbian, gay, bisexual and transgender community has started the new academic year with the goal of expanding its support base among USC communities. The Queer and Ally Student Assembly has already hosted its welcome barbecue and a dance at Ground Zero Performance Cafè, but its vision for the rest of the year goes beyond events. QuASA started 2010 with a greater initiative: involving more people in its events, said Emily Allen, executive director of QuASA. Although QuASA is happy to be a part of USC’s welcoming community, some students said they realize that QuASA is still viewed as a niche organization on campus. “I feel welcome, and some of my friends who are straight feel welcome, but I know some people don’t even feel that they’re really invited,” said Willie Hartman, a freshman majoring in animation and digital arts. October is Coming Out month for the LGBT community. The theme of this year’s Coming Out month is “Melting Pot,” a title Allen said is designed to show that all types of campus cultures and communities can join together to support the LGBT community, and that diverse types of people can coexist and complement each other. 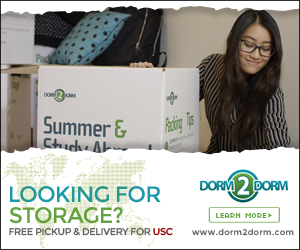 “It’s to bring about awareness to a larger group at USC, not just the LGBT community but everybody,” Allen said. 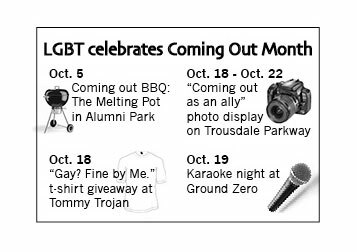 LGBT will kick off Coming Out month with a chocolate fountain and fondue in Alumni Park on Tuesday to emphasize the melting pot theme. 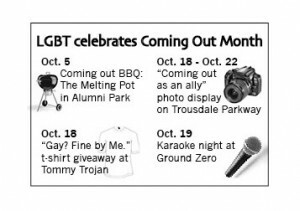 Throughout October, LGBT will also be hosting events, such as karaoke night and a “Gay? 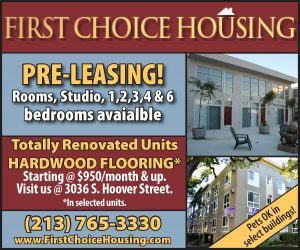 Fine by Me” T-shirt giveaway. Through Oct. 10, QuASA will be collecting photos of students holding signs reading “I am an Ally” as part of its biggest event, “Coming Out as an Ally.” These photos will be displayed on Trousdale Parkway to show that the support of the LGBT community is widespread, Allen said. QuASA’s long-term goals are to dispel the idea that the group is only open to certain people, Allen said, and to expand their programs to as many students as possible. Joshua Morris, a senior majoring in psychology, said he has been a member of QuASA since freshman year.